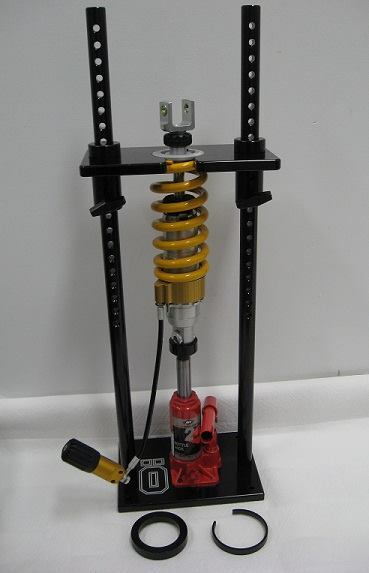 The stock shocks are very basic and set for modest rider and loading even to make it that long is a stretch, otherwise a more purpose built set of shocks custom sprung and done is a huge improvement for most real needs. 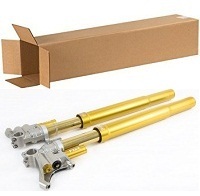 Good shocks can be rebuilt and maintained for the life of the bike, stock shocks are throw away units. 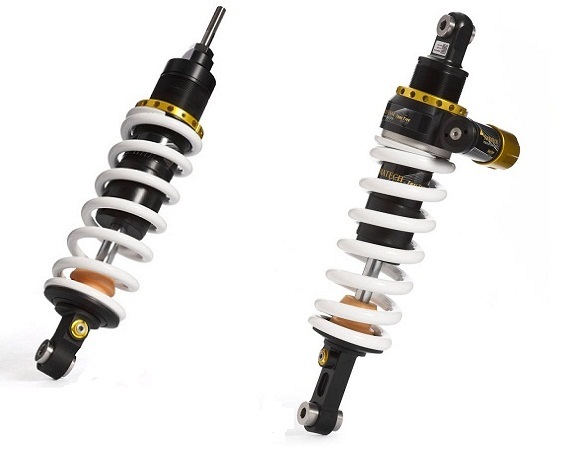 Some other brands (not Ohlins) offer you a skinny small front shock / body /small shaft and spring too save material cost and build on the cheap but they are surprisingly more than Ohlins price per shock, go figure. (shame on you if you rode your stock shocks for 10 years and 100K + miles!…) whoops! Your stock Bmw shocks wear like your tires, especially the shocks basic “foamy tuna fish” oil. 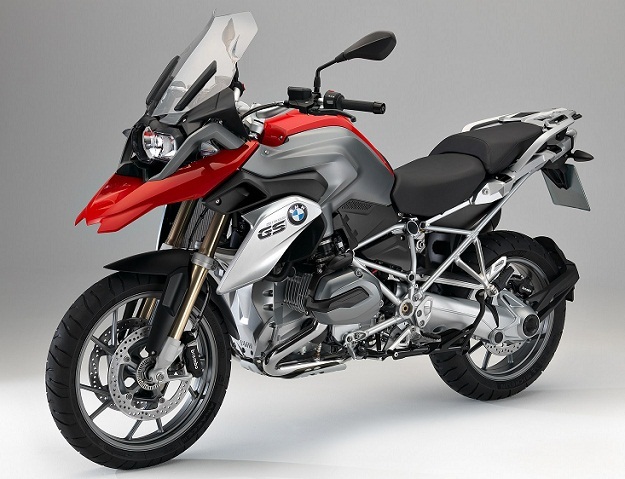 Above this is a super affordable R1200 GSA Ohlins S46 set with a rear spring remote hydraulic preloader. 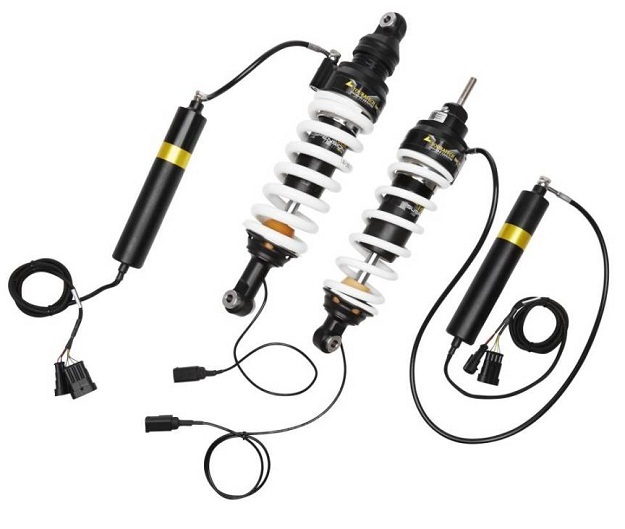 It may be all you need and tremendous upgrade from the standard OEM shocks. More of a set it and forget it except for some turning of the black preloader know and other black damping click thingy from solo to loaded. They have a extra heavy duty 16mm shaft and largest 46mm shock body both front and rear with 57mm ID heavy duty springs, also the rear shock has a Hydraulic remote spring preloader. 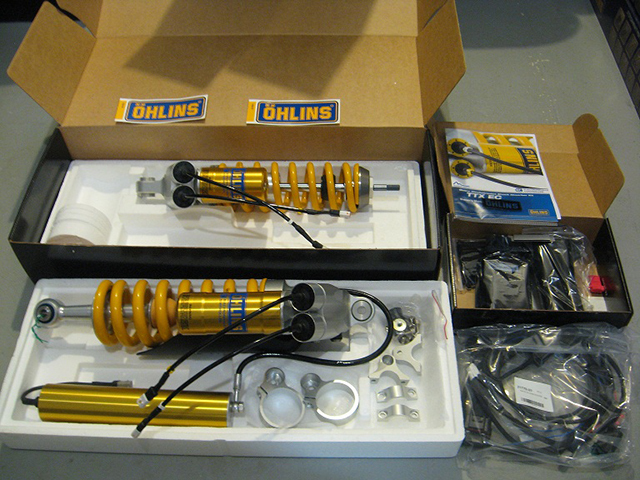 Heavy duty set of Ohlins Shocks for the R 1200GS BM 436 and BM 437 with a rear Preloader, they are finished to order with custom springs and settings for your weight and shipped FREE with No tax O/S lower 48 USA. Bam! ~best technology for the money! They have a TTX twin Tube design body with more directional fluid flow, so they have more equal pressure balance by design and feel terrific, higher tech but sweet. 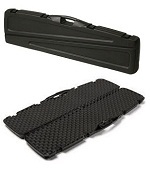 (they also offer a EC version for those see below…). 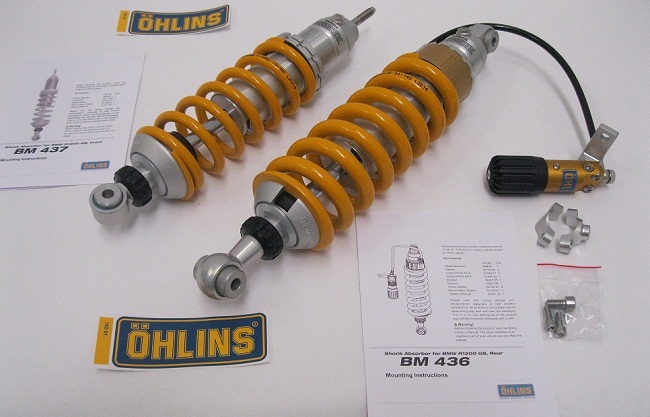 Ohlins TTX Bm 676 Bm 677 Series shocks for BMW R 1200GS. The more independent compression and rebound adjusters work exceptional well amd have a large use full range (for those who even bother to turn them). 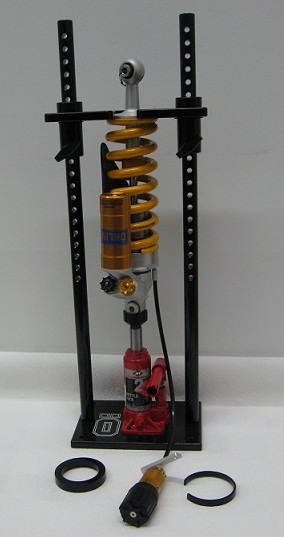 Above these are Ohlins twin wall TTX piggy back design with New style preloader, fully adjustable Compression, rebound preload. Switching spring rates shown below. These spring press machines are a must for any “Remote Hydraulic Preloader” style shocks when switching spring rates which is really the only way to get the spring retainer clip out on most all springs. 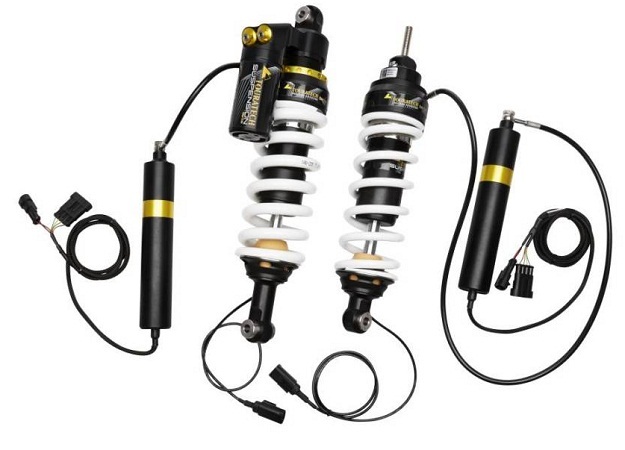 The full “EC”- upgraded replacement kits that have not only better shocks but vastly improved functions, including Ohlins new interactive comfort mode that self adjusts depending on speed and conditions while in that mode. 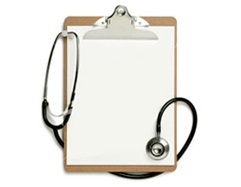 You would need a Factory Equipped “EC” model on any electronic controlled shocks at this time. 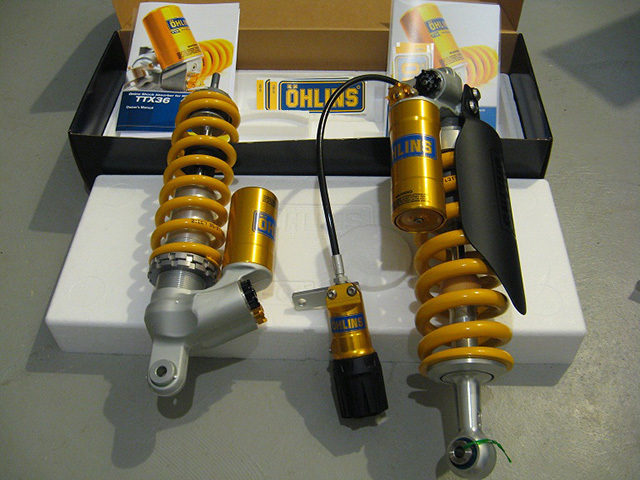 These are the “Electronic Controlled” (EC) Ohlins TTx. They don’t use any old parts from your standard shocks like other brands that make you reuse rebound motors or preload motors that are crusty! 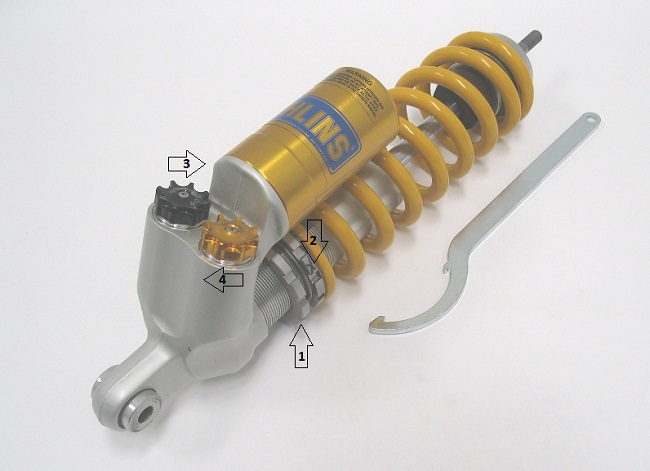 Now back to the regular Ohlins TTX below… (twin tube design but Not EC -Controlled) so you can easally turn adjusters A-Z as needed to suit your needs. 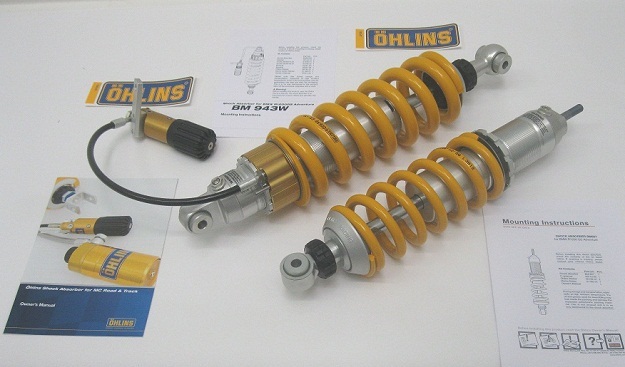 If tired of Factory ESA , Super EASY ADJUSTABLE OHLINS TTx May be something to consider. 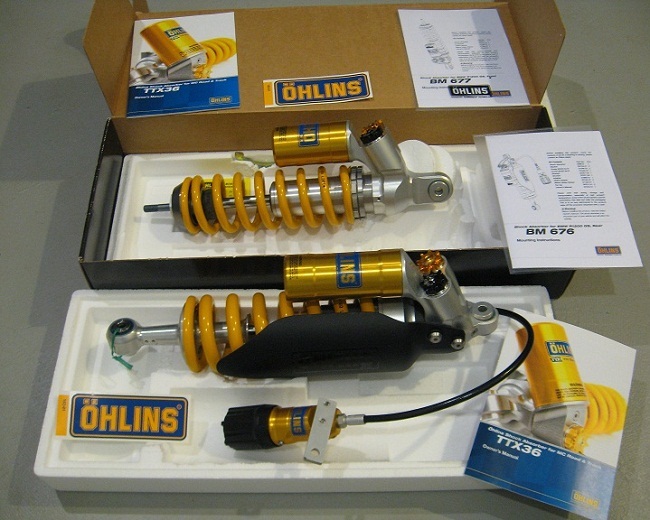 Ohlins TTx Rear Shock Adjustments Made Simple like 1,2,3! Rebound (Shown #2) this clockwise direction adds more damping to solo baseline setting. Compression (Shown #3) this clockwise directions adds more damping to solo baseline setting. 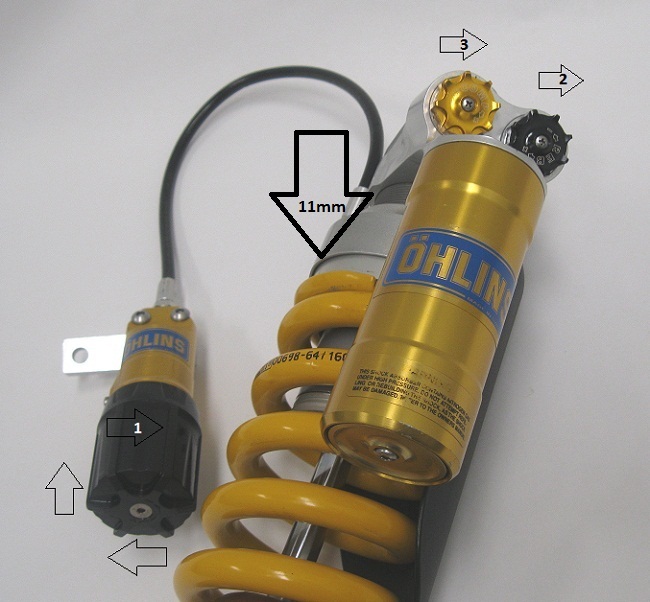 Ohlins Front TTx Adjustments made Simple like 1,2,3! Loosen spring spanner Locker (Shown #1) turn Spanner (shown #2) this direction adds more spring preload. Notice the small “X” mark you can put to count turns or half turns as you go, also once you loosen lock spanner you may find it very easy to grab the spring and just turn it provided main spanner follows it as you turn to actually make tighter or looser, best while front is unweighted. Rebound (shown #3) adds more damping force this clockwise direction from solo baseline setting. Compression (shown #4) adds more damping this clockwise direction from solo baseline setting. Ohlins Details “TOP SECRET” Spy Photos of the TTX! 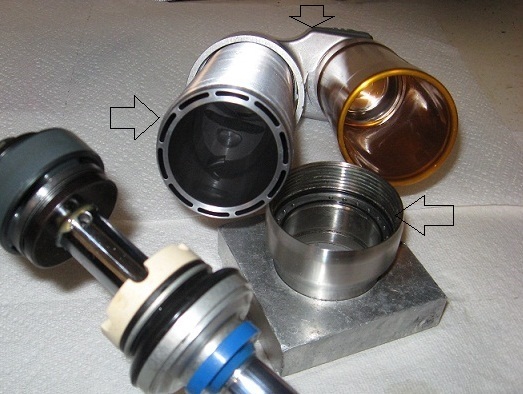 Since the TTX Shocks have a Twin wall Design and fully contributing Rebound and Compression circuit valve, the true surface area of All Pistons / Tube must be considered when calculating TOTAL piston / Valving surface area the optimizes pressure balance within the shock for unmatched performance and fade free design qualities. 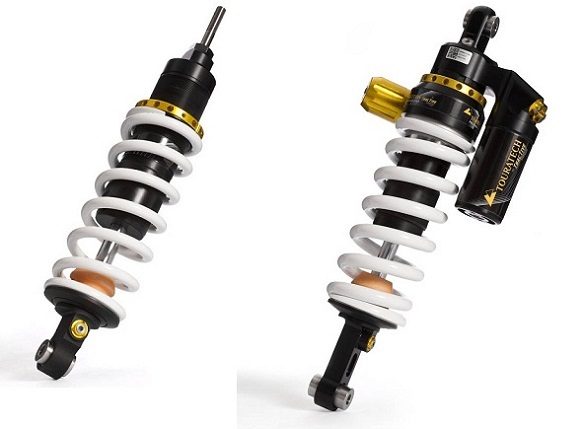 The above pic shows TTx Ohlins “Twin Wall” shock main body with matching tapered end cone holes and cylinder head for more directional fluid flow unlike any traditional shock designs as shown in video. 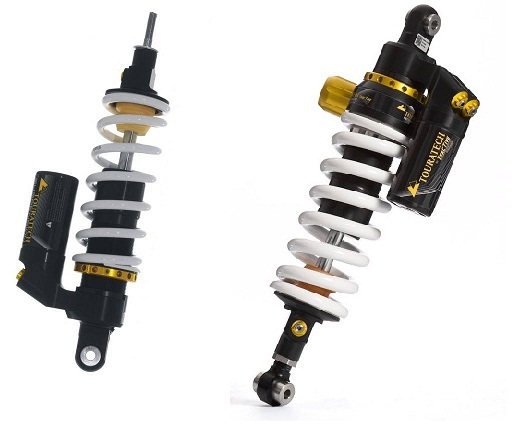 Below is the video of the Ohlins TTX, Twin wall, piggyback designed shocks, they have a unique design for more equal pressure balance and better ride quality over a large range. 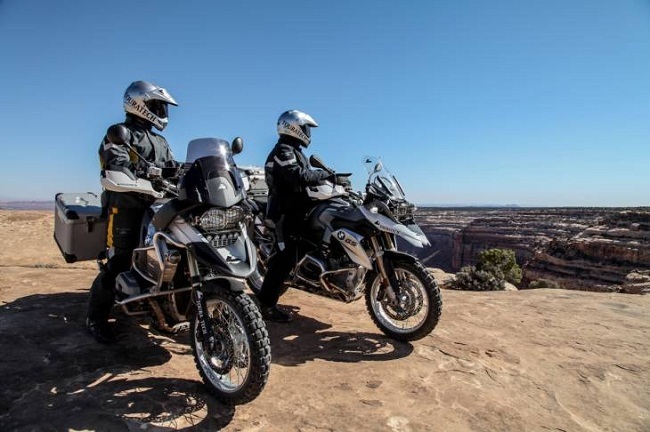 Below are a few Touratech Offerings, well built for the fully loaded Adventure rider in mind that ventures off pavement and whoopy, most often. Three flavors with different features…. Above these are the Touratech EXPLORE SERIES shocks shown with “HP” for hydraulic preloader. Above is the next step up in Touratech, same explore front but EXPEDITION REAR with Preloader. The REAR features HI/LO Adjustable Compression on a piggyback reservoir rear. The above is the NEXT Step up , the EXTREME FRONT & REAR, both feature a Dual Piston Design so they resist bottoming extremely well for fully loaded off pavement touring, they also have HI/Lo Compression, rebound and spring preloader. 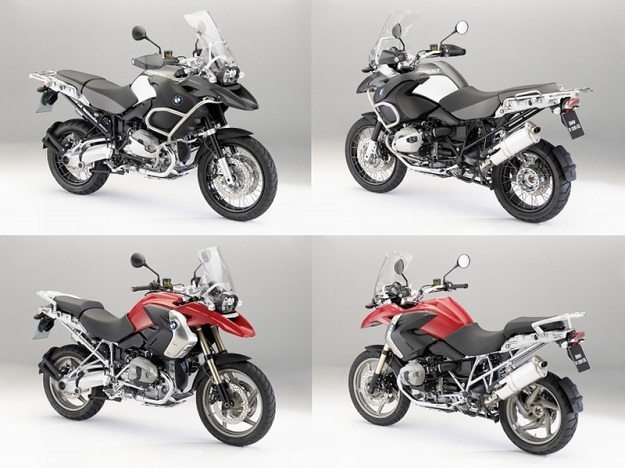 Touratech (shown below) has updated offerings for the BMW R1200 GS/GSA (oil cooled) shown below, determine if you are replacing Showa or WP style when placing orders, springs and settings are prematched for you prior to shipping. Above is the “Expedition” ESA series, notice additional reservoir on rear shock the rear has Hi/Lo and a reservoir, when ordering specify for Showa or Wp style replacement.